“Perhaps he therefore departed for a season, that thou shouldest receive him for ever” (Philem 15). Although the context here is different, it is applicable to the dear ones who have departed from this earthy abode for their heavenly mansions. In a true sense, they “departed for a season” ; we are going to miss them only for a short time. “Death is not a period; it’s only a comma.” Any moment there can be the Rapture or our departure. Then we will join our departed dear ones to part no more. What a comfort this is for us and what a blessed hope we have beyond the grave! Let us “sorrow not even as others which have no hope” (I Thess 4:13). 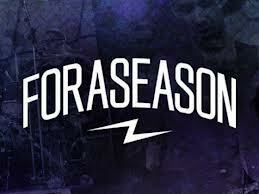 Our life on this earth is only ‘for a season’. In fact, every stage of our life, every problem, every trial, every joy – are all only ‘for a season’. Shall we then make the best possible us of every moment we have? Let us live every day of our life to the fullest.